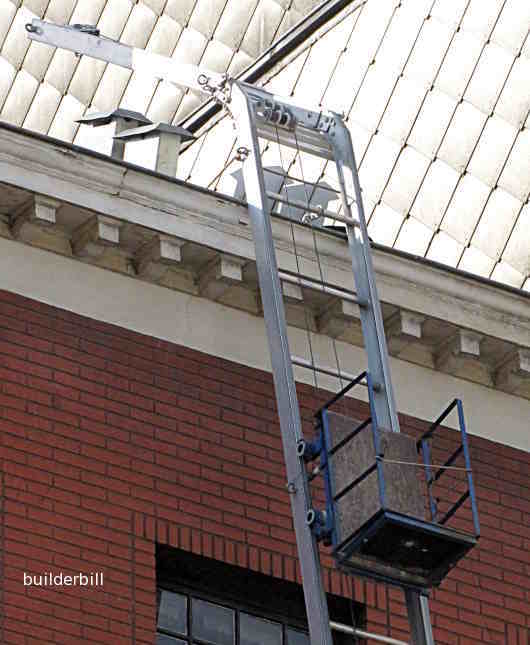 A ladder frame used to hoist materials into upper floor windows and onto roofs. 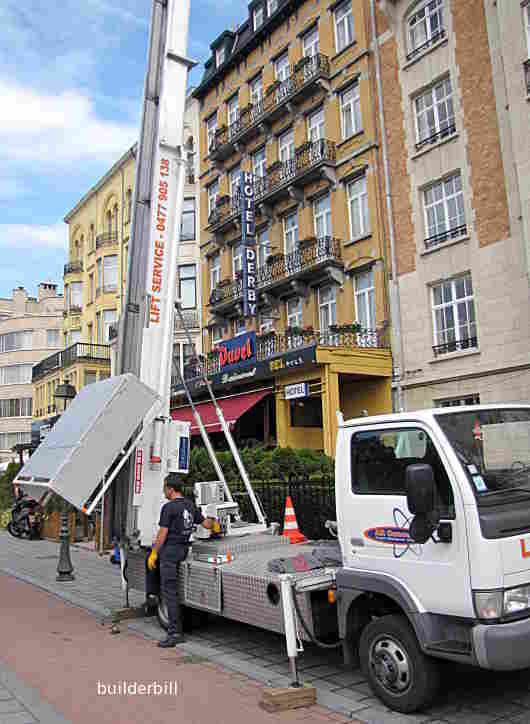 Here are a couple of materials hoists that I photographed while on holiday in Brussels, Belgium. This ladder was unattended when I was there, so I have no idea what they were loading onto the roof, but I presume it was slates or roof tiles. There was a small petrol engine at the bottom to drive the winch and the ladder was built up from sections of 4 rungs in length. One would hope that the guy on top was wearing a safety harness and even then it would not be a job for the faint hearted. This one was a lot larger telescopic rig mounted on a small truck. I watched the guys loading sheets of plasterboard into the upper floor window. The platform was self leveling. Here the operator is packing up and I would say that it seemed fast and easy to use. Again there did not seem to be too much concern for safety of the passers by.